To meet safety regulations, the inspection of the internal parts of pipelines is mandatory, as any deformations can lead to cracks, which could result in complete pipe failure or, in the worst case, to personal injury. The critical factor is the weld seam. DEKRA developed a fully automatic vehicle that solves this task by using a combination of visual inspection and geometrical measurements performed by a scanCONTROL laser scanner from Micro-Epsilon. To make the vehicle suitable for different types of pipeline in all regions of the world, it is protected against sand, dust and ambient temperatures up to 100 °C. 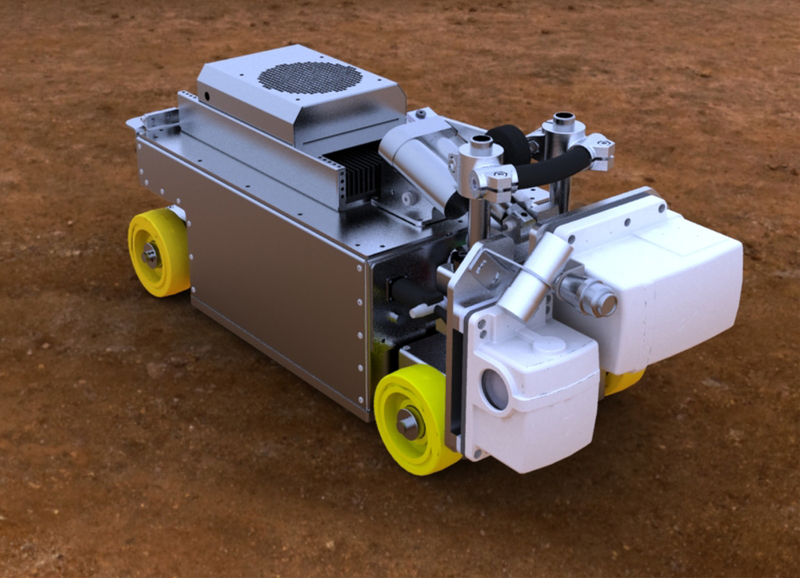 In combination with the fifth wheel on the top of the vehicle pressed against the top of the pipeline, the ROV can travel up a high gradient of around +/- 45°. All data can be output for further use or, if desired, trigger an alarm as soon as an anomaly is found in the geometry (roundness, defects, welds, etc. ).